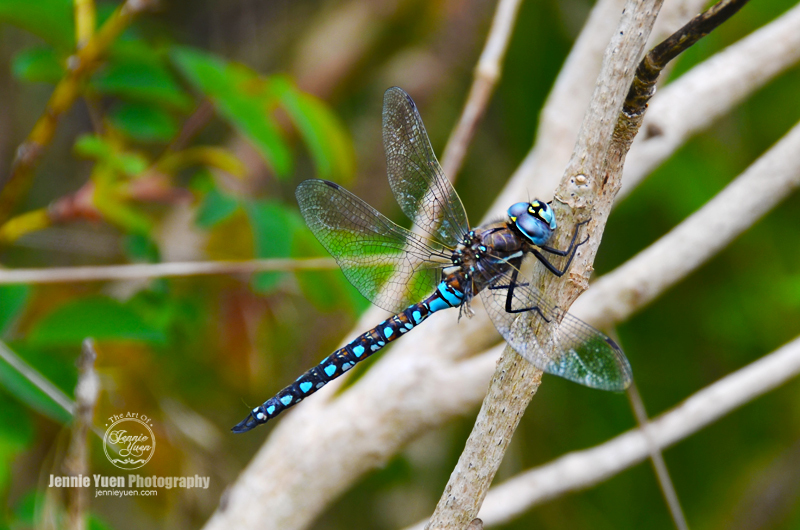 Spotted a beautiful blue-colored dragonfly on a branch. I slowly crept up to it to take a close-up. Poor thing lost a wing. Dragonflies are my favorite bugs that I'm not afraid of. 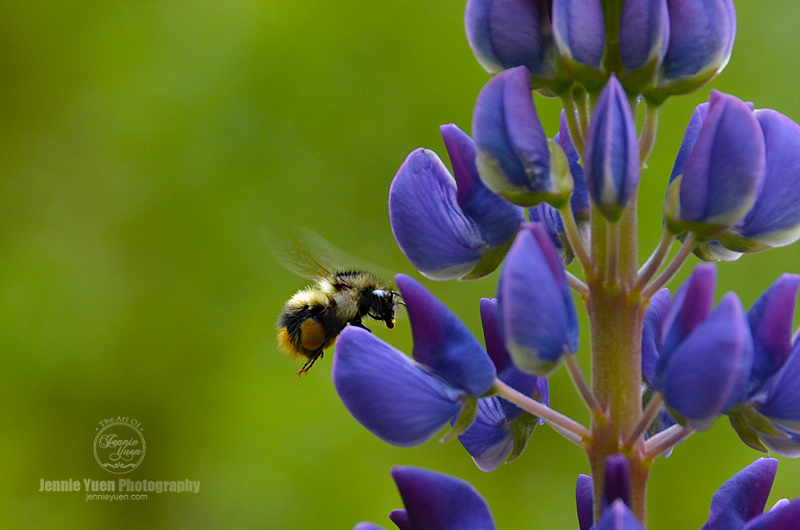 Here's a bee collecting nectar.